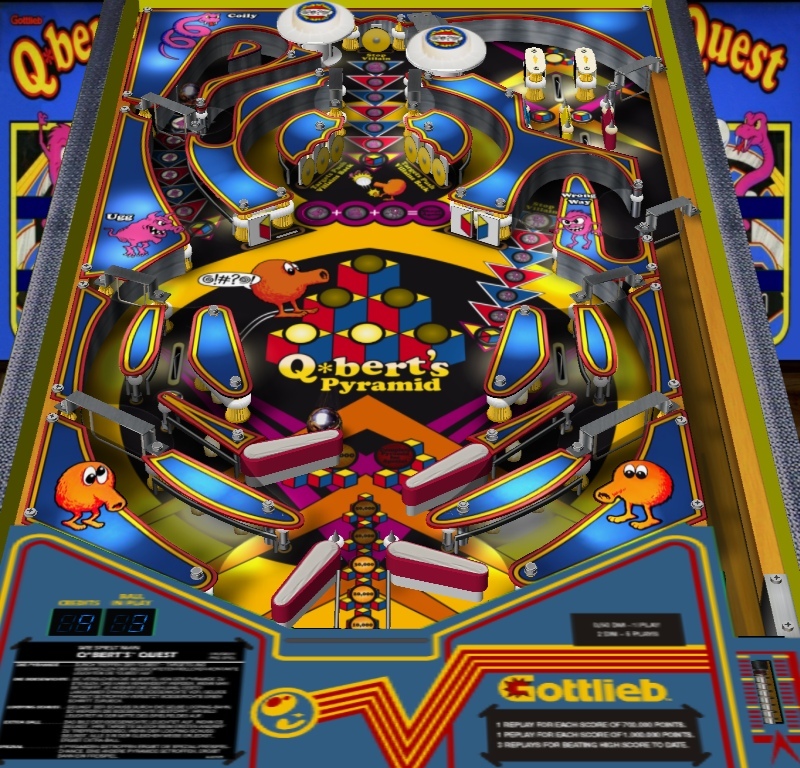 Gottlieb being chiefly a manufacturer of pinball tables, of course the company didn’t hesitate long to tie in its new star with the main business. Looking at the table, the four flippers immediately attract attention. 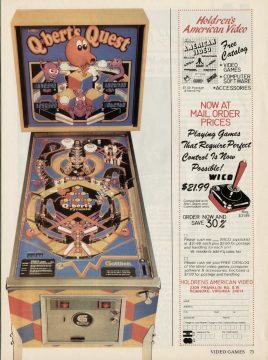 They are even weirder than they look: Pushing the left button triggers the upper left flipper, but also the lower right one. The lower left flipper is equally reversed. 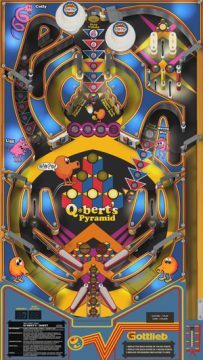 Essentially the two added flippers act as an extra safeguard against losing a ball on the sides, so Q*bert’s Quest might have been intended to ease fans of the video game into the pinball hobby. Several of the table’s elements are inspired by the video game: In the center stands a pyramid, and it’s possible to light up all its cubes (only six here) for a score bonus. 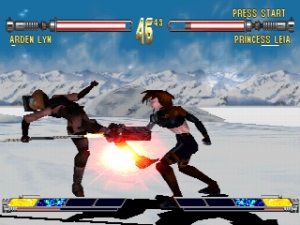 The familiar villains Ugg, Wrongway and Coily – here represented by rows of arrows – turn off the lights again if they reach the pyramid, but can be pushed back again by hitting certain targets. 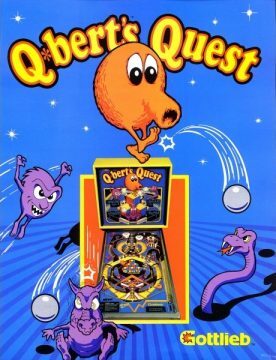 Zelmo: Q*bert Makes the Jump Over to Pinball 1 2 in Video Games 6/1983, page 72-73.